Minimalist houses decoration has been on the rise for almost a decade in the West. Nevertheless; the minimalist decorative style is a children’s game in front of the true minimalist houses. They take the whole concept to a level totally beyond imagining. 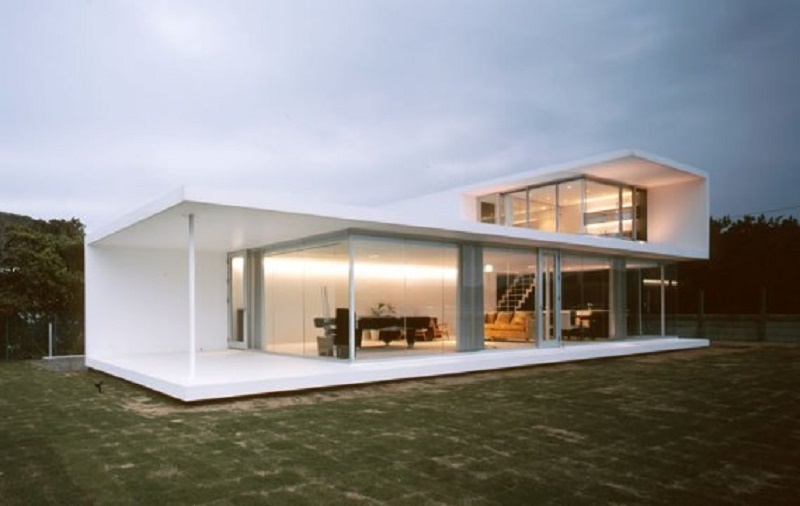 We start with a minimalist house located in the country of the rising sun. The country that gave birth to what we know today as a minimalist style in decoration. Of course, he was going to have among his streets the most amazing minimalist houses in the world. But do not be fooled by its outward appearance. However narrow it may seem, and despite being lower than the rest of the house in the neighborhood; You will be surprised how spacious, comfortable and cozy it is inside. This is how the most minimalist house in Japan looks from within. Despite being “small” it has three floors. In this particular, the living room, the dining room, and the kitchen are located! Honestly speaking, here at Visita Casas we had never seen an equal kitchen. The access to all the cabinets is impeccable, the opening of the doors is not hindered, and all within a much smaller space than traditional kitchens! Definitely, the kitchen of this minimalist house was what surprised us the most. And if you were wondering where the main room was, well, here it is! Since a Japanese family lives in it; we do not have one, but two beds together. Which means that they occupy more space than a western matrimonial bed. That curtain in the background is not only decorative. A large closet is hidden behind it. Also, under the stairs you can see how they have added more elements to the bedroom, and yet they have plenty of space! And yes, we refer to this as the main room because, on the top floor; We can see how what is today your child’s paradise dedicated to games, with time will become a great room. It can even be treated as two rooms; because space is wider than what can be seen in photography. Remember, minimalist houses do not have to be one person’s homes. And where is the bathroom? Well, here’s the answer. If you thought that all the space in the rest of the environments meant having a modest bathroom, you were wrong! This bathroom is, without a doubt; the proof that minimalist houses are not synonymous with small spaces, but with well-used spaces. The dead space that sometimes remains between two houses; it simply does not take advantage of anything positive for lack of creativity. However, creativity is what some people have left; and the proof is this beautiful minimalist house that looks like something out of a story. Although its façade suggests that it is a miniature house; to see it inside we realize how well the entire length of the space has been used. 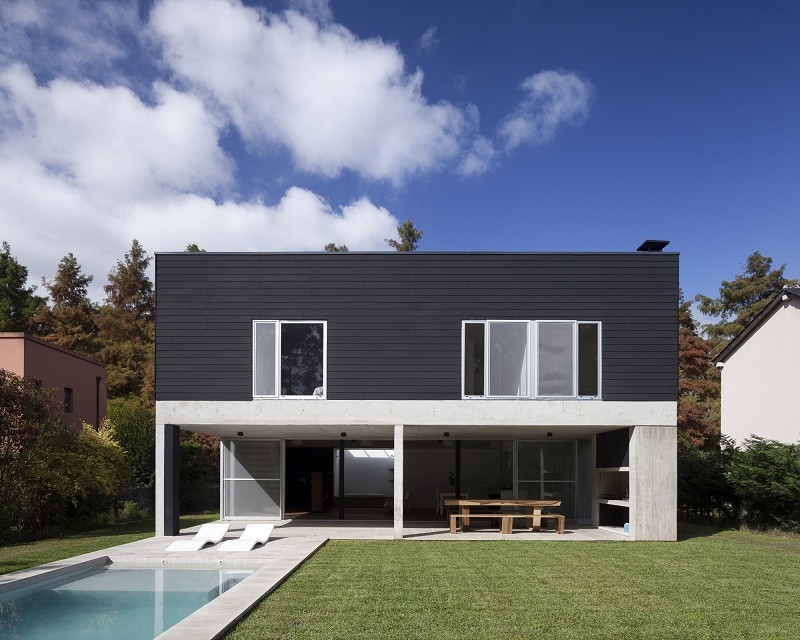 Thanks to its extensive sales, natural light is not lacking in this minimalist house. It has a small back garden to sit and chat and; In case you were wondering where the bed was, it hides on the wall! Would you like to have your own strength of loneliness? 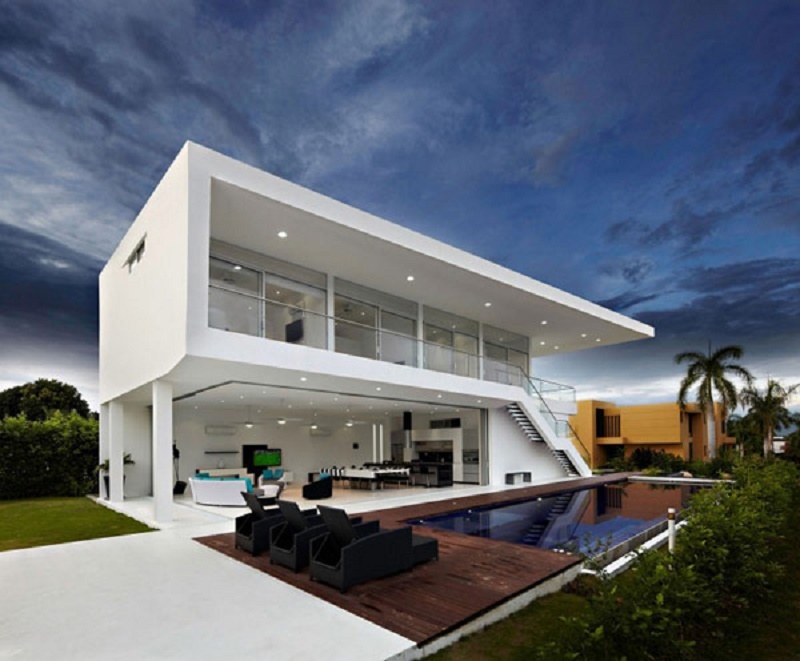 Although this minimalist house is not at all thought of spending time alone. The distribution of its spaces has been designed to accommodate many diners. It is ideal for a university student or, as in the case of photography; to have a place beside the main house where to give intimate parties. The wood-fired boiler is perfect to keep the internal temperature really warm in times of snowfall. Although to us in Visita Casas, what we liked the most. It was how soft the wood looks on the walls and the ceiling. 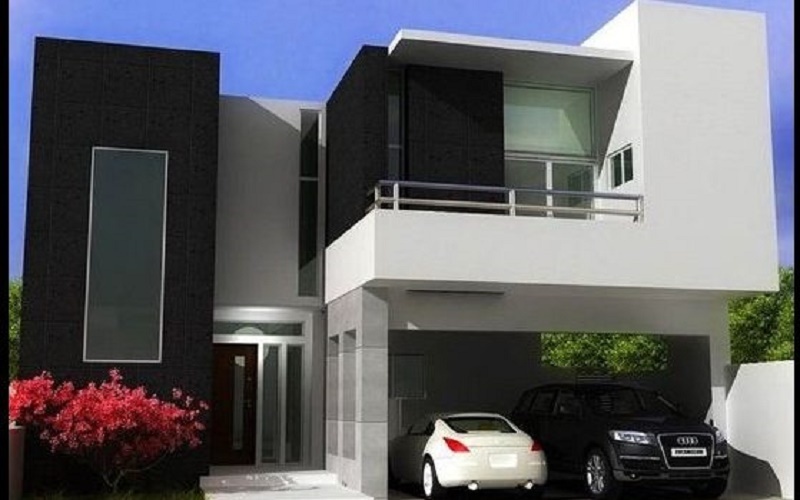 Both white and black; They are used throughout the concept of minimalist decoration, but a black house? Minimalist black houses are popular in Japan, especially in areas where gray reigns. This is done to give character to the house and a striking aspect. 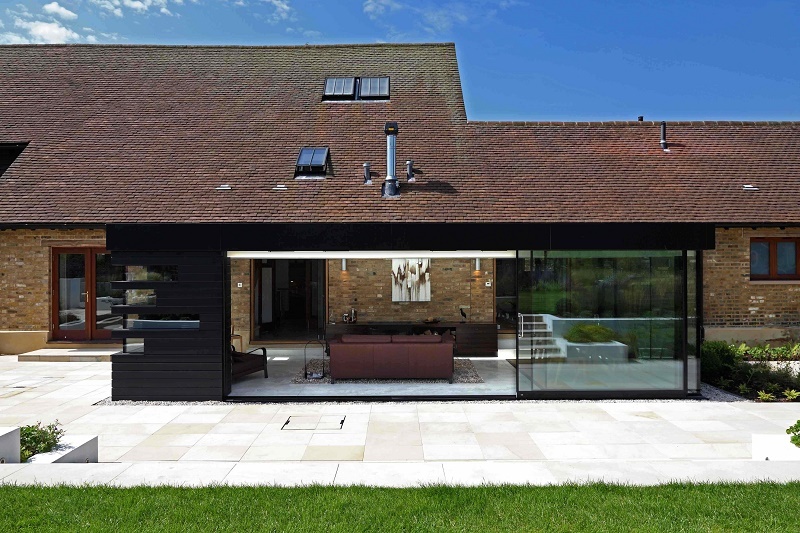 Although on the outside it looks like a hyper-thin version of a building; this black house is, inside; a marvel of architecture. As you can see, it is a three-story home. It has so much space. Contrary to its exterior. In the internal decoration, the iron color of the staircase was simply used as a dark tone. The rest of the house uses both white to accentuate the feeling of spaciousness; like light brown, to increase the warmth. This house with large windows and white walls that blend perfectly with the snow. It is a clear example of what we say. Inside decoration remains true to the concept. Being that its large windows, in conjunction with that beautiful view of the sea. 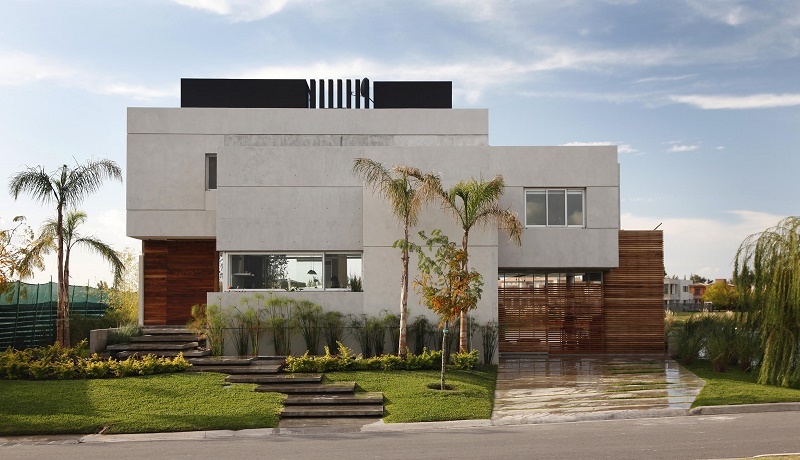 They give us a minimalist house that seems out of the dream of an architect. And this is how all houses should be; therefore, never settle for less when it comes to the home you have worked so hard for. Take advantage of available space in the most efficient and creative way. It is the slogan of the minimalist concept in decoration. 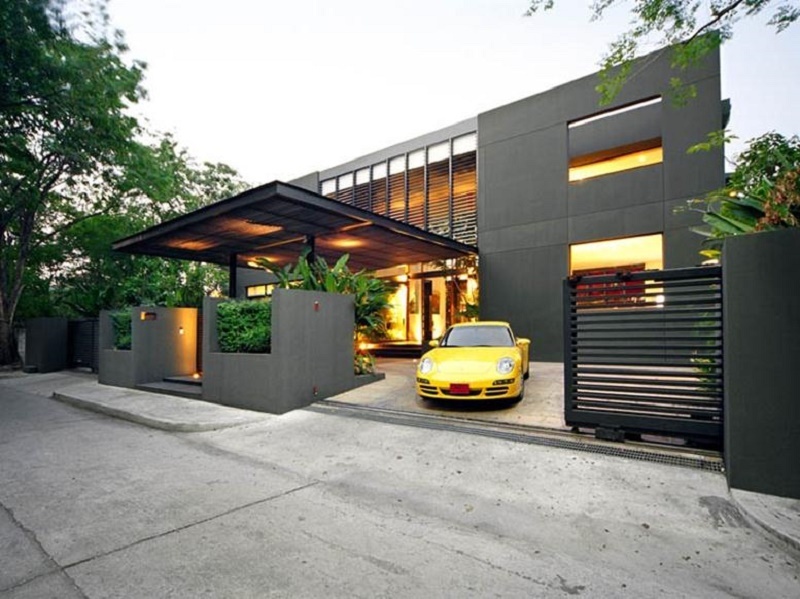 Therefore, the houses we list today all have something in common: None looks ordinary on the outside. The game with the architecturally unified geometric forms in this house; It is a clear proof of what we are referring to. On the outside, white, black and artificial lighting. They make this house stand out clearly in comparison to its neighbors. The internal decoration; makes use of those same forms in a spectacular way. We love the color of the concrete on the walls. And the combination of matt black with bright white was the most successful. 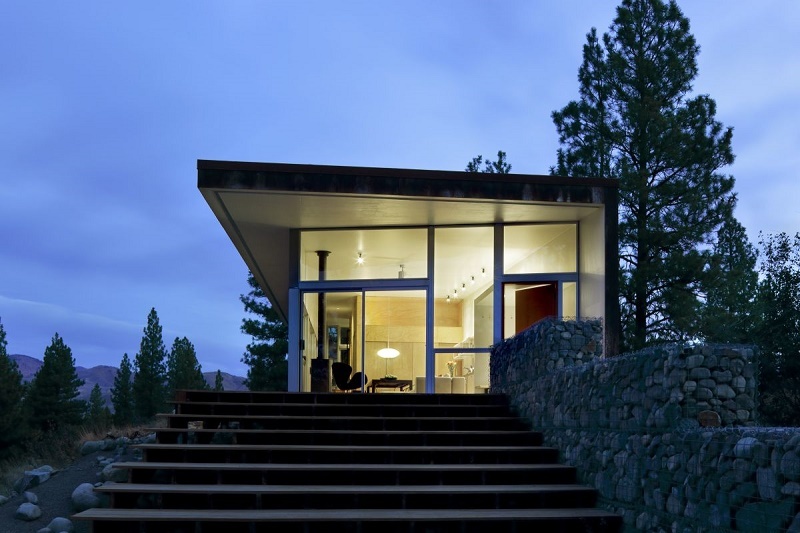 There are very few houses that manage to unify all aspects of minimalism as well as this one. What do you think of the architect’s work? If the geometry of the previous house seemed innovative to you; then it is sure to enter the category of out of this world. Minimalism can (and should) always go hand in hand with daring. In this particular house, we wanted to highlight the configuration of the kitchen. Although many people may not be convinced at all; We found the way of integrating the stove to the countertop impressive. In case you were wondering what the rest of the environments look like. Here we leave you a panoramic view of its spacious room. If what we have seen so far seemed surprising to you; Then this house will definitely exceed all your expectations. 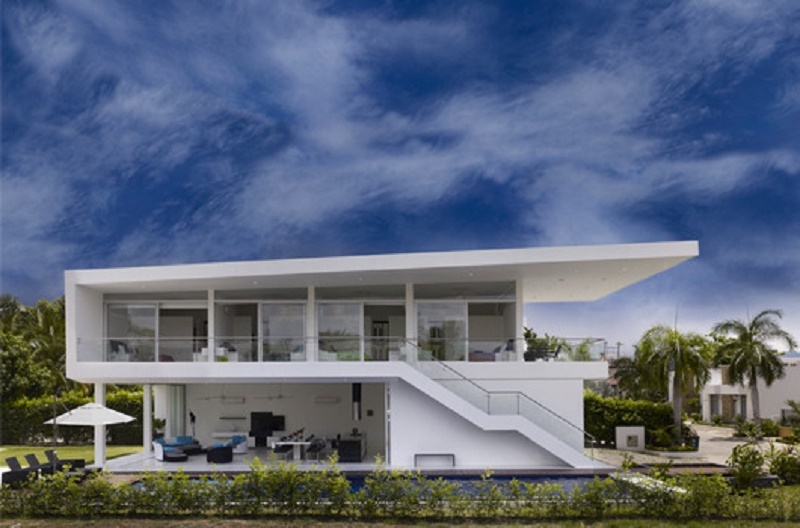 If the color white is the signature color of minimalism, what better way to make it more forceful than the method applied in this particular minimalist house? It is true that its façade can be monotonous as well as overwhelming; but when you’re a fan of minimalism, there’s no better way to express it than this! Inside, it remains faithful to the concept of the exterior; but it also has an exceptional distribution of environments. With black on the floor and many “invisible” storage spaces. It should be noted that its construction price was extremely low; so maybe you could consider copying the model and building one for yourself in a corner (literally speaking) of the city. Unfortunately, the house is unoccupied at the moment. We guarantee that when someone moves. We will be back to bring you more pictures. We think the technique used to hide absolutely all the elements of the kitchen inside the wall was great. Also, the room is really spacious; as well as the bathroom. Without a doubt and that is something that you can observe in the photographs. The way they have taken advantage of natural light through the windows in the sky of the house. It is undoubtedly one of its strengths. The way in which the doors have been hidden since they do not have door handles; It is one of the most revolutionary ideas we have seen in minimalist homes. Of course, we could not get more photos of his interior; because the owners value their privacy very much. But they were not going to give up natural light; hence they have such a large window. Free space between two commercial premises or two houses in the suburbs; It is generally converted into an “alley”. Either connect two streets or have a blind termination. It is not usually used for anything else. However, this land can be purchased from the municipality of your locality; and turn it into space for the house of your dreams. Many people consider it impossible. But here we want to show you what can be achieved when you think big. With enough space for your children to have been to develop their creativity. The fullness of rooms for bedrooms. Many shelves from top to bottom. This concept of a minimalist house built vertically; It reminds us that any place can be a home. Being that the most impressive of this particular design. It was designed so that the two children and the couple could live comfortably. Even with the passing of the years, the kids will never feel that they lack space or privacy. And now, yes, we move on to what many people understand as a minimalist house. A retreat to be far from everything and everyone. In the middle of the forest and without the annoying civilization around. This beautiful and tiny house shows us how its owner has taken advantage of every millimeter of space. Of course, the few square meters are not a valid excuse for not looking cozy. And this is something you must remember. Minimalism is also characterized by small and cozy spaces. You can achieve with the correct use of colors that convey that warmth. The most impressive space and without a doubt; It’s the bathroom. A small sink and a toilet built into the structure of the house; It turns the small bathroom of this minimalist house into a clear example of what creativity can achieve. 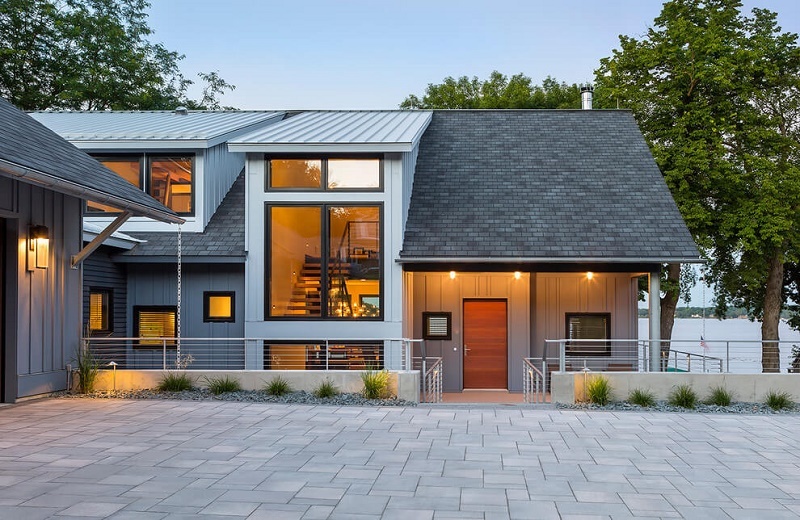 If your thing is to be ECO-Friendly, this house will enchant you! 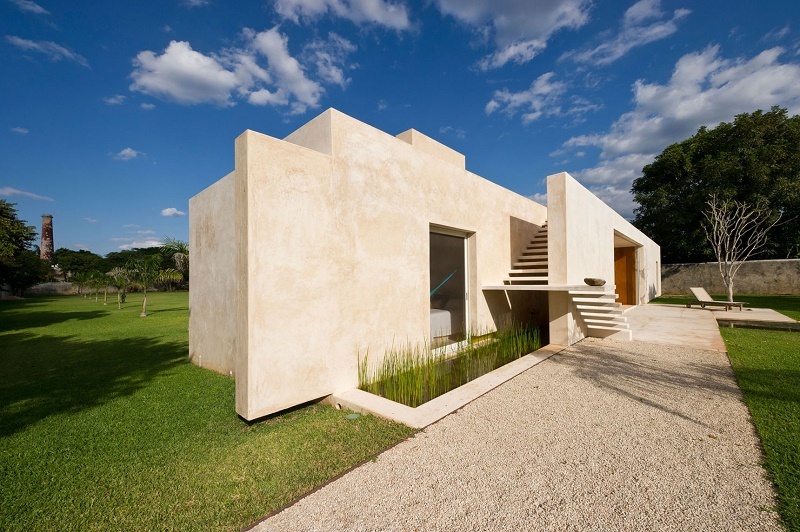 This other example of a minimalist house surprised us with its ECO-Friendly philosophy. Admit it, how often does a house that does our planet so much honor? From the materials with which it was built to the colors used for decoration and elements; everything in this minimalist house reminds us that you can take care of the planet by living in it. Nothing has been left out. All the environments you need to live; They are in this small ecological house. The wood, of course; It is protected against water and moisture. One of the things that surprised us most is the space destined to rest. And they even included a corner for productivity! In short, this minimalist house is a clear example of what you should achieve when you aim at this type of architecture: Let people say “Wow, it’s bigger inside what you see outside!”. It can be ECO-Friendly and at the same time have a home with a classic appearance. If you do not believe it, then look in detail at all the electives that have been included in this minimalist design. Whose theme is to have a garden within the home. There is something that fascinated us about this home. Its configuration similar to a greenhouse, not only provides a pure and fresh air; but the acoustics inside this small house is impressive. The external noises are practically not perceived. In addition, to the whole being controlled in pots; You do not have to worry about insects. This house is in itself, a perfectly balanced ecosystem for a person. If you feel you do not have space for a garden, think twice. The smallest corner of your home can be turned into a paradise if you follow this person’s housing model. The minimalist houses are perfect for couples who start a relationship. It is a not very large investment; but how well used, can result in a true home. On the outside, it is undoubtedly a work of art worthy of admiration. The main door and a back door; They make it particularly comfortable to move around inside the house. And no, being minimalist does not have to be completely white. The color wood and the dark tone of iron give it a character and firmness worthy of being. But it is when we enter it that the magic is complete. We love the workspace available in the kitchen. Unlike the Japanese minimalist houses; Here we have a four-burner stove and an oven integrated to it.